Add the sparkle of 24% full-lead crystal to an already dazzling occasion. 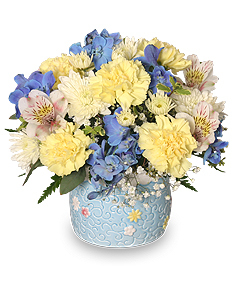 Filled with bright flowers and enhanced with a blue liner, it's the perfect welcome for a baby boy. 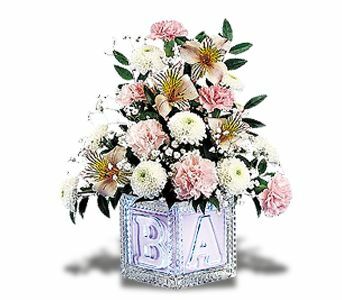 Approximately 12" H x 7" W.
Add the sparkle of 24% full-lead crystal to an already dazzling occasion. 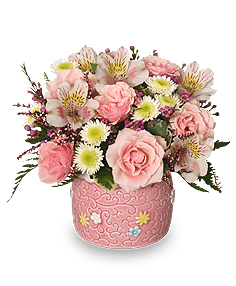 Filled with bright flowers and enhanced with a pink liner, it's the perfect welcome for a baby girl. Approximately 12" H x 7" W.
Give the new baby a big welcome. 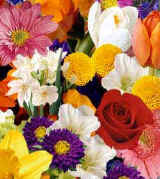 And the parents big congratulations. 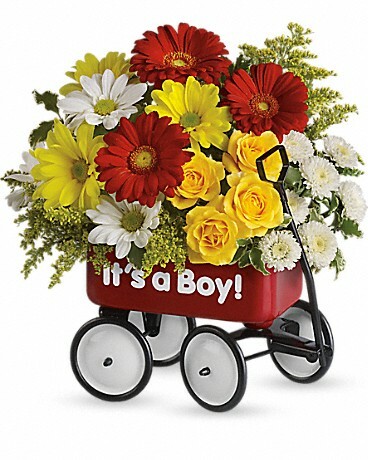 Send the delightful Baby Block Bouquet. Includes carnations and pompons in a precious novelty baby container. 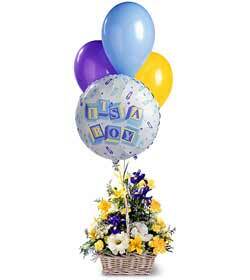 Approximately 11" H x 10" W.
Oh, baby, how they'll love this cheery welcome for their new arrival. And you'll love the baby-sized price tag. 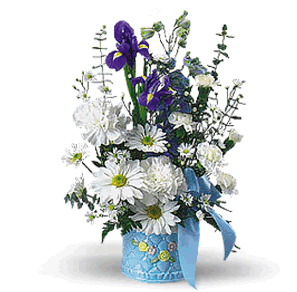 An assortment of blue and white flowers arrive in a baby novelty container. 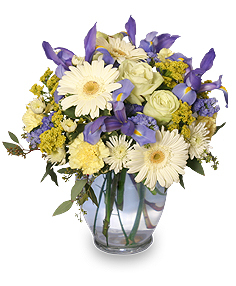 Approximately 17" H x 10" W.
Want to get a beary big smile from someone special? 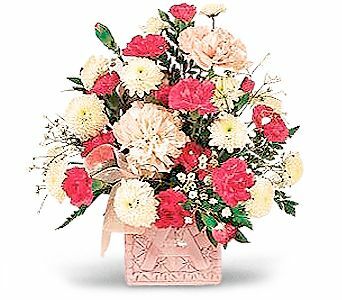 Bring them this whimsical bear with blooms bouquet. 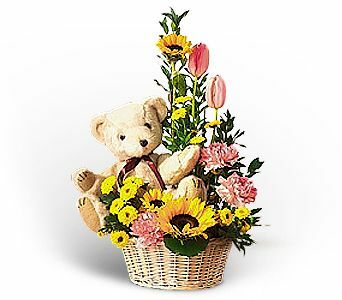 Includes a plush bear and fresh seasonal flowers in a basket. 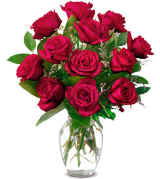 Approximately 22" H x 13" W.
1 Dozen Roses in a Glass Vase with greens and filler. 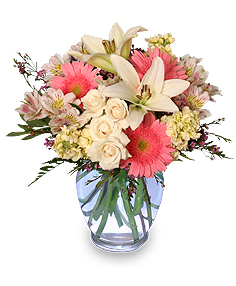 Available in red, yellow, pink, peach and white.